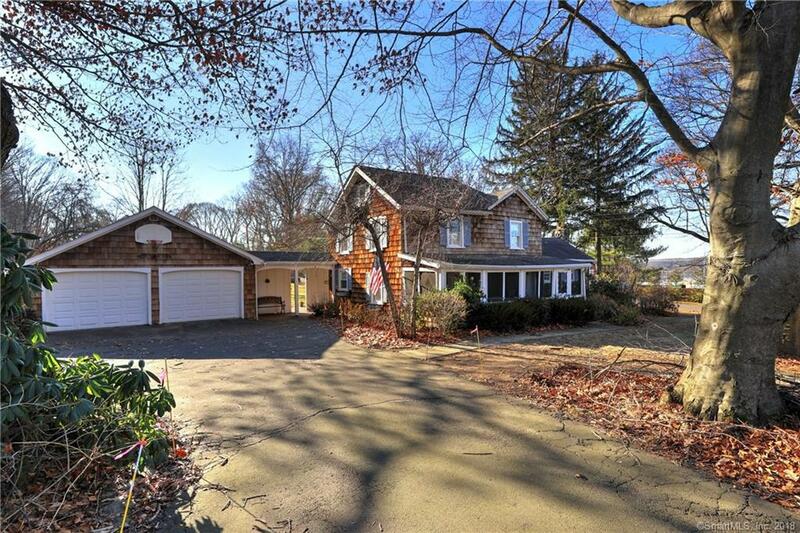 Located north of the Post Rd on over a half acre, sits this vintage 1900's colonial. Charm and warmth of a home well loved. Enjoy the screened in front porch. Central air and an updated electrical panel. A lovely brick fireplace and a wood burning stove for cold winter nights! The eat in kitchen and dining area are spacious for gatherings. The home has one full and one half bath. The lot is nice and flat. The 2 car garage is oversized and perfect for a workshop. Gas and sewer are in the street and ready to be hooked up. Laterals for city sewer have been installed and paid for. Come take a look! Directions: Ford St To West Rutland To Plains (All The Way Down On Your Left, Corner Of Tranquility Way).